Ancestry DNA testing companies brought genetic genealogy to the general public. Although commercially available ancestry tests are all similar, the differences between them can make or break the entire experience for you. 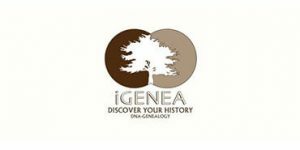 Our comparison between National Geographic Ancestry Test and iGENEA will show you the right way to approach your ancestry examination, as well as crucial aspects to keep in mind. The best way to go about things here is defining, in layman's terms, what you're most interested about; what you want to discover about your genetic ancestry and potential historic relatives. With that information, the choice between National Geographic Ancestry Test and iGENEA will be pretty evident.